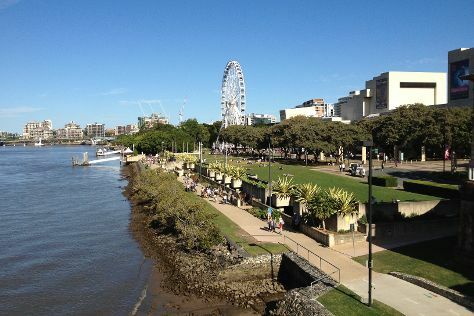 Get out of town with these interesting Gold Coast side-trips: Tweed Regional Gallery & Margaret Olley Art Centre (in Murwillumbah), Caloundra (Moffat Beach & Dicky Beach) and Brisbane (South Bank Parklands, Sherwood Arboretum, & more). On the 17th (Sun), enjoy an adventurous day among the treetops at some of the top local zipline courses and adventure parks. Spend the 19th (Tue) exploring nature at Natural Bridge. And it doesn't end there: observe the fascinating underwater world at Sea World Theme Park, enjoy breathtaking views from SkyPoint Observation Deck, visit a coastal fixture at Cape Byron Lighthouse, and enjoy the sand and surf at Burleigh Heads Beach. To find where to stay, traveler tips, other places to visit, and more tourist information, use the Gold Coast sightseeing planning site . If you are flying in from United Kingdom, the closest major airports are Brisbane International Airport and Gold Coast Airport. In November, daytime highs in Gold Coast are 30°C, while nighttime lows are 20°C. Finish up your sightseeing early on the 22nd (Fri) so you can travel back home.